Make a right turn into the Infinite Corridor and follow it to the end, where it comes out into a large foyer. This is the main entrance of MIT. Follow the corridor on the left at the front of the foyer into Building 5. Follow this all the way to the end; this will lead into Building 1. Continue around the bend to the left and all the way to the end. Take the stairs to the third floor. 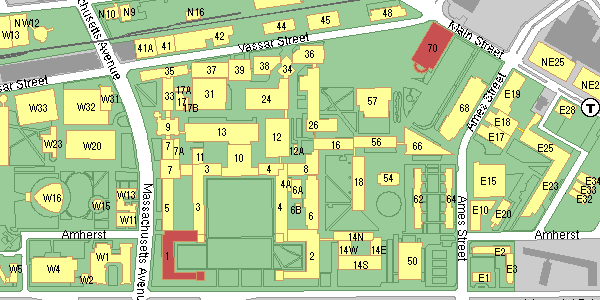 This leads directly to the Bechtel Lecture Hall, room 1-390.